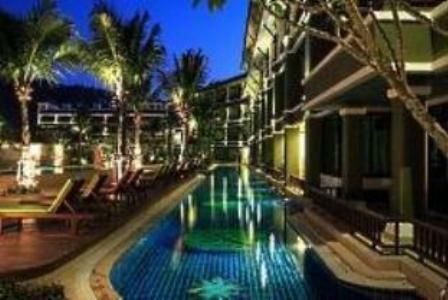 The Alpina Phuket Nalina Resort and Spa is located just 700 meters from Kata Beach on the south west coast of Phuket. 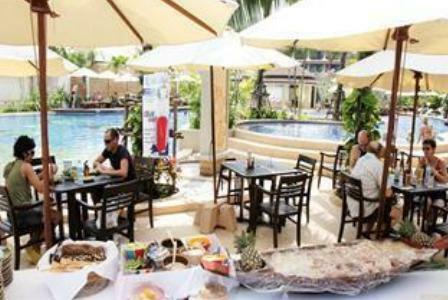 What we love about this resort is the location, the resort is tucked away in a peaceful setting but within walking distance to the beach, a range of restaurants, bars and shops. The resort is ideal for family vacations or for couples looking for a a relaxing atmosphere away from all the hustle and bustle of the outside world. 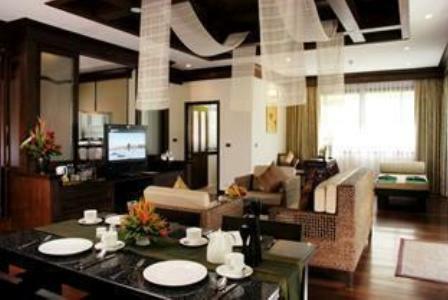 There is an excellent range of room types available at the Alpina Phuket Nalina Resort. With interconnecting rooms and cots available on request. Check room rates and availability, to see how affordable it is to spend a couple of weeks with your family in Phuket. Classic rooms have views from the balcony overlooking the pool and feature either a king size bed or twin beds. 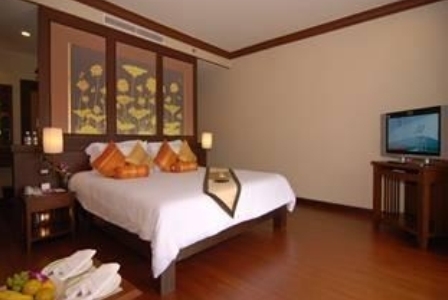 Nalina Jazz rooms feature either a king size bed or twin beds, a balcony and a bathroom with separate shower or bathtub. All these rooms have direct access to pool. Grand suites have a spacious living area with separate bedroom and bathroom featuring a king size bed, decorated with Thai accessories and include a DVD & CD player. You can also enjoy a private balcony and a bathroom with separate shower or Jacuzzi bathtub. The pool villas have all the creature comforts of home, with facilities including a kitchen and dining area, a living room and separate bedroom with a king size bed, a bathroom with shower & bathtub as well as a guests toilet. The pool villas also feature a private indoor Jacuzzi, as well as a private outdoor pool and a private terrace and garden. Combine all these facilities and the Pool Villas make for a special and rewarding stay. There is a good range of amenities in all room types, which we have listed below. 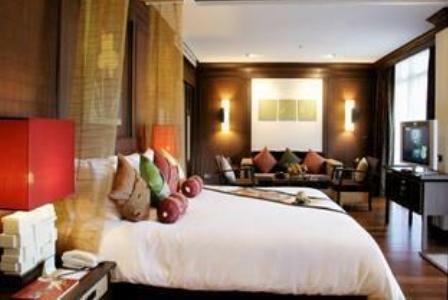 All rooms at the Alpina Phuket Nalina Resort & Spa have a private balcony or terrace. 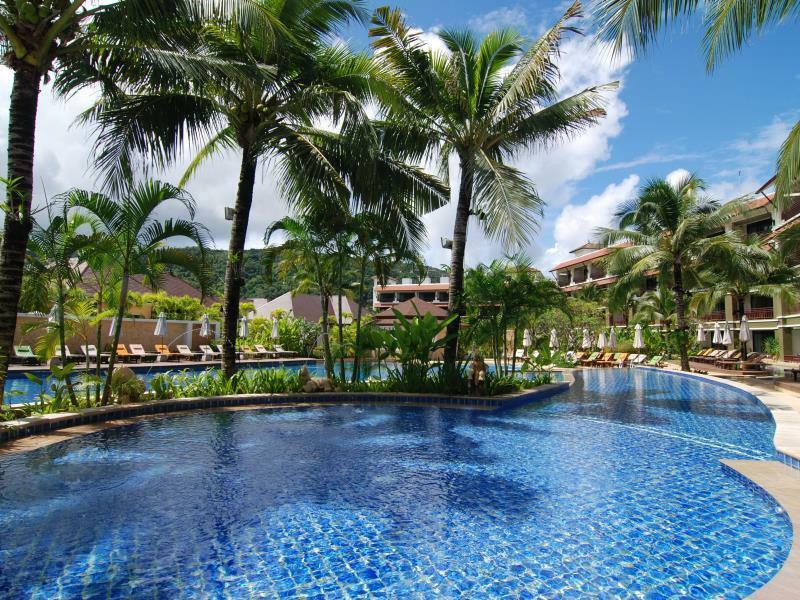 The Alpina Phuket Nalina Resort & Spa offers a range of facilities and services for you to enjoy. These facilities include a large free form swimming pool and much more. The Alpina Nalina, boasts one of the largest hotel spas on the island. The luxury two storey Giai Spa has over 27 treatment beds and private rooms with a range of wellness treatments and massages available. As the resort is set back from the beach, the Alpina Phuket Nalina Resort and Spa provides a free shuttle bus service every hour from the resort to the beach. 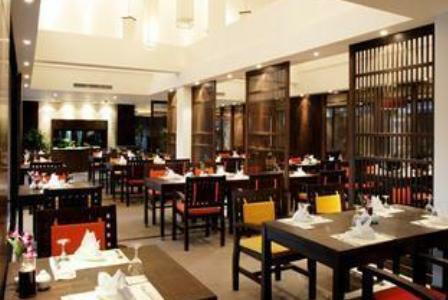 The Tropicana is the main restaurant which serves a buffet breakfast as well as Thai, international, seafood and Asian cuisine. Other places to eat within the resort include “Pizzeria Mamma Mia” or the Clef Lobby Bar and Music Lounge. There are plenty of shops, restaurants, bars and massages places close by the Alpina Nalina Resort. Kata beach is only a ten minute walk from the resort or a five minute drive. For people with young kids the resorts free shuttle bus is ideal. The shuttle bus leaves every hour from the resort and will drop you off at the beach. The Alpina Phuket Nalina Resort & Spa also provides pool and beach towels for their guests to use, so don’t worry about packing your own. 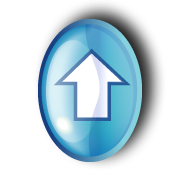 Another great feature is that there is free WiFi throughout the whole resort. If your travelling with kids the Alpina Phuket Nalina Resort and Spa is very good. Read what other travellers say about their vacation at the Alpina Phuket Nalina Resort and Spa on TripAdvisor.